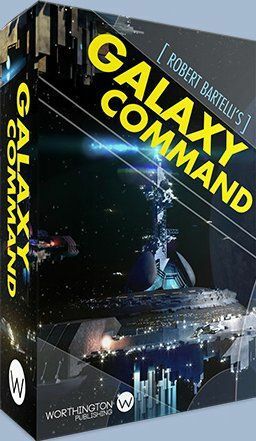 In Galaxy Command, 1 to 4 players take the role of a galaxy commander. Each tries to maintain a delicate balance of resources, military power, and technological achievements as they explore the galaxy. Game play is fast and fun with varied decisions to be made by each player during their missions. In each game of Galaxy Command there are near and far systems that must be overcome in order to bring in new resources and wealth. Near systems must be explored before attempting to reach far systems. Some far systems require key technology to be reached with any chance of success. Near systems provide resources that can build your military strength and develop technologies allowing you to overcome challenges as you go deeper into space. No two games will play the same as the systems you get, and the decisions you make will change game to game.The event cards affect different players during each game.The game plays in 15 to 45 minutes depending on the number of players and how quick they play.The game is playable for ages 8 to 800 (if you’re from planet Cirius…). Originally published by Robert as a print and play solitaire game with 19 cards. In this version we have taken the original game, added a multi-player element by expanding the deck to 54 cards, new artwork, planets, and challenges but keeping the clean mechanics in place. The game was well received as it was and now we have made it playable from 1 to 4 players yet still keeping it playable in under 45 minutes.